Celebrations erupted across Afghanistan last week after the country’s nascent national team won the South Asian Football Federation Asian Championship in Kathmandu, Nepal, beating regional giant India 2-0. The jubilations show that Afghans, like any other nation, cherish the normal pursuits of present-day life: peace, happiness and national preeminence. Cricket is another major sport that Afghans are fast becoming passionate about and that has earned prominence for Afghanistan in recent years. That Afghanistan has been ravaged by decades of wars doesn’t seem to dampen the indomitable and resilient spirit of the Afghan people. If they display ‘brutality’ in war, they have an equally potent capacity for normal, peaceful pursuits of life, like any other people. Given an opportunity, an Afghan, again, like any other people, would make a mark. Among many other prominent Afghans, Khaled Hosseini’s name comes readily to mind. Author of the celebrated novels, The Kite Runner, A Thousand Splendid Suns and And the Mountains Echoed, the Kabul-born Hosseini’s talent came to fruition only in a foreign land—the United States –where his parents migrated after the war forced them to leave their homeland. Many other Afghans, migrants from war and living scattered around the world, are making their own contributions to life, some with a prominent profile, others in a humble way. The point of saying all this is that Afghans through their sheer industrious nature, have adjusted to and made use of their migrant life. They have worked to make a life, say, for instance, in a butcher’s shop in the U.S. or as a successful restaurateur in Europe. They have toiled and have made the best use of life. While some moved abroad, others stayed home through the wars of the 1980s and 1990s to the present times. While some fought, other Afghans sought peace. While some chose to live in history, others tried to look towards the future. On the whole, Afghanistan has moved on. Afghanistan stands yet again at a crucial juncture of its history. American-led international forces are set to leave their country by 2014. Afghan forces are increasingly being handed over security of their own country. Notwithstanding the international community’s confidence in the ability of Afghan forces and its promises of continued support and backing, challenges remain. A Taliban-claimed attack on the U.S Consulate in the western Afghan city of Herat on Sept. 13 killing three people, underlines the grave security situation that the Afghans would have to deal with on their own. To what extent the Afghan government forces measure up to the level of confidence the international community has placed in them, may also depend on how strong the opposition—Taliban militia, to be precise –stays, in future? After security, corruption in government is widely acknowledged to be another major problem. While progress has been visible in economy and the formation of an Afghan government administration, compared to a decade ago, corruption is seen to be undermining what has been achieved and even threatens its future. From the near absolute poverty of the Taliban era or what was then generally considered as an economy that thrived on opium production, the economic situation has diversified. But this is not to say that opium poppies have disappeared. They have not. The drugs portion of the Afghan economy endures; its magnitude may have gone down, though. International presence and assistance in Afghanistan has brought in money. To what extent? Afghanistan now has an infrastructure of highways, schools, hospitals, telecommunications, radio and television stations. Afghanistan seems quite a lot developed compared to a decade ago. Will this development endure is a question for the future? A sense of how much money was in Afghanistan could be had by how much of cash was flowing out of the country at one time, or might still be flowing out, who knows? “A blizzard of bank notes is flying out of Afghanistan,” the Washington Post proclaimed way back in a 2010 report. The report said every year an estimated $ 1 billion had been taken out of Afghanistan, mostly to the United Arab Emirates. The Post, citing U.S. and Afghan officials, said, “many wealthy Afghans now park their families and funds” in the UAE. The Afghan government subsequently fixed a limit to money being taken out of the country. Afghans, who have made financially big during the international presence, need to give at least some of their fortune back to their country. Distribution of wealth keeps wheels of the economy going, it’s a basic theory. A moving economy creates jobs and increases opportunities and in turn ushers in prosperity. Ideally every Afghan or realistically, as many as possible, ought to benefit from their country’s current development. Otherwise it will not give them a sense of participation and ownership. Ostentatious disparity in wealth and prosperity creates resentment among the less fortunate, which in turn can threatens peace or gains in security. Afghans who had the opportunity to live and learn in the West and now have a chance of working back in their country, need to practically implement their experiences. If they do not set a practical example in delivering corruption-free, clean services, others who have never had a chance to see how other systems work, will do things their way. Afghanistan is preparing for presidential elections in April 2014. Incumbent, President Hamid Karzai, who cannot seek another term due to constitutional restrains, has promised to be an honest bystander to ensure fair elections. The presidential vote of 2009 that Karzai won, was tainted by allegations of fraud. A fair political process that gives all Afghans—Pashtuns, Tajiks, Uzbeks, Hazaras and all other ethnic groups—a true sense of participation can be a guarantee to Afghanistan’s internal unity and harmony. Amid attempts for peace talks with the Taliban, the militia needs to realize it cannot fight forever. The Taliban have to review what their aims and objectives are? They have to rebrand themselves and choose between becoming irrelevant or joining a political process. An insurgency, either at a political plane or in an armed, militant form, cannot endure without popular, and in today’s interlinked world, international backing and acceptance. The Taliban as purely a fighting machine can surely expect to be sidelined, as a new generation of Afghans, more inclined to education and wired to the Internet, grows up. A generation that hasn’t seen the glorified war—jihad of the 1980s—first hand and that is increasingly getting educated, it would not readily let itself be made cannon fodder by the Taliban, if they choose to continue fighting. 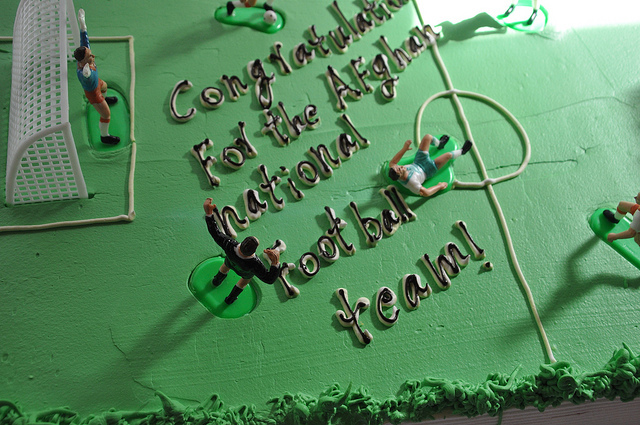 Afghanistan, it now seems, is also nurturing a generation that seems to celebrate football and cricket more than fighting. A generation that like any other, understands that national glory can also be achieved on a sports field, rather than a battleground. The Taliban, if they wish to continue as a fighting apparatus, may want to learn a lesson from what has happened in Pakistan. Pakistan had a myriad of militant groups and many were suspected of getting support from state-security agencies. But a time for the state’s change of heart came, or it was pressured into it, is another discussion, but the militant groups were forced to shut shop. Many disappeared, even if just in name. Another instance of how impermanent war, especially foreign backed, could be the reported return of hundreds of militants from Pakistan to their homes in Indian Kashmir. In a September 6, 2013, story, The New York Times reported that more than 350 militants, who had been trained in Pakistan to fight India in Kashmir, have returned to their families in Indian Kashmir, under an Indian government amnesty program. Afghanistan’s neighbors too, need to be Afghanistan’s real friends, especially Pakistan. The more Pakistan is seen pursuing its geo-strategic interests in Afghanistan, the more Kabul will get closer to New Delhi, Islamabad’s arch-rival. Afghans have shared so much of sorrow that are sure to share every single national joy, big or small. But only if wars would leave them alone. Next Can Asia Go The Next Round on Economic Integration?